It works wonderfully in the living room. 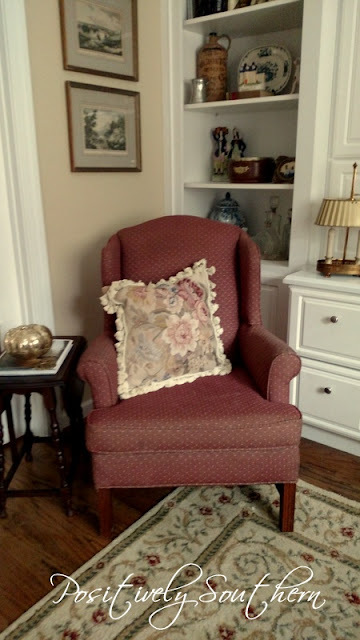 The needlepoint pillow that I already had looks like it was made for that chair! It doesn't even look like it was ever even sat in...like ever! The photos don't do the color of the fabric justice but just know it is perfect! In this next photo, notice not just the gorgeousness of the chair but the tole lamp. 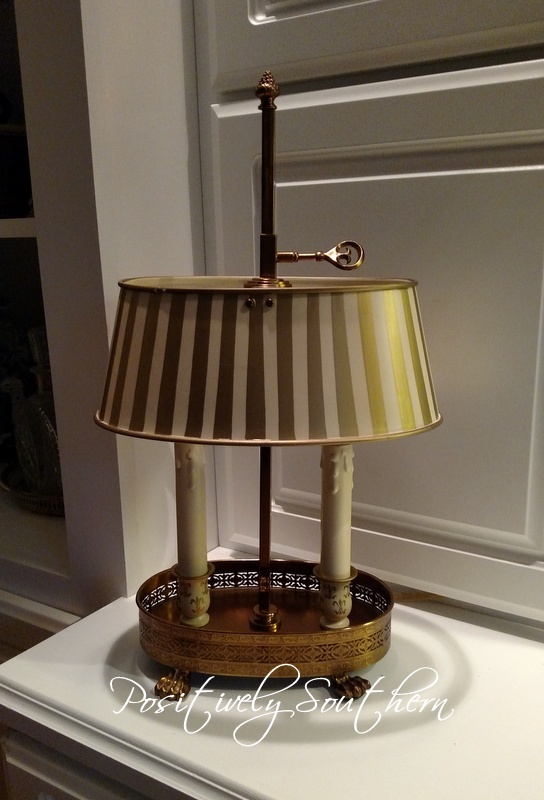 This positively marvelous tole lamp was found the same day I bought the wing back chair. 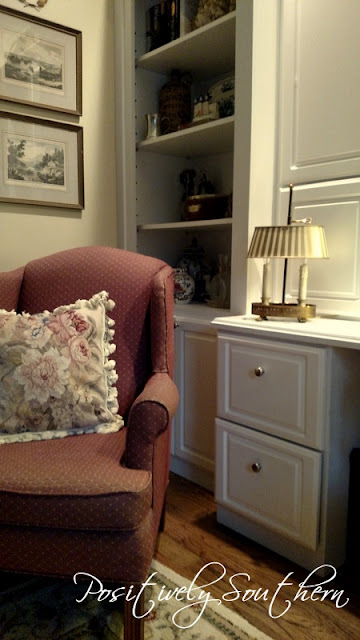 When I realized it was a Jeanne Reed vintage tole lamp I couldn't take it to the register quick enough. Credit for it's placement on the built in desk totally goes to Bestie N. Here is a close up. Now that I have shared all my recent pretties with ya'll....I'm back to decorating for Christmas, apparently I'm skipping fall entirely this year! Okay, you've convinced me to start decorating. I have been stressing on how in the world I'm going to pull off hosting 25 people for Thanksgiving then decorating for Christmas in time for the Merry and Bright Christmas Home Tour that I will be participating as a first timer also. How do the expert bloggers do it? Then there's that ORC!!! The pressure for that crazy is too much for words. Back to your little finds...awesome! 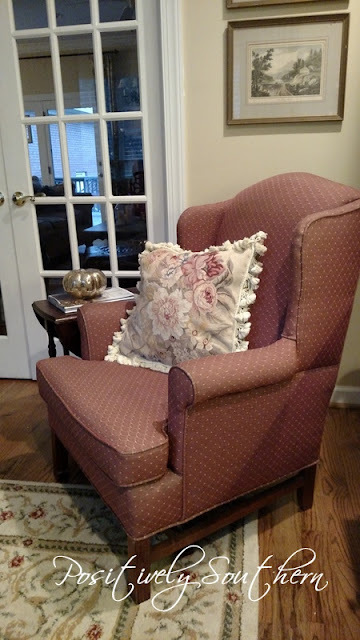 and yes, don't think another second about purchasing that chair. Thanks for sharing.